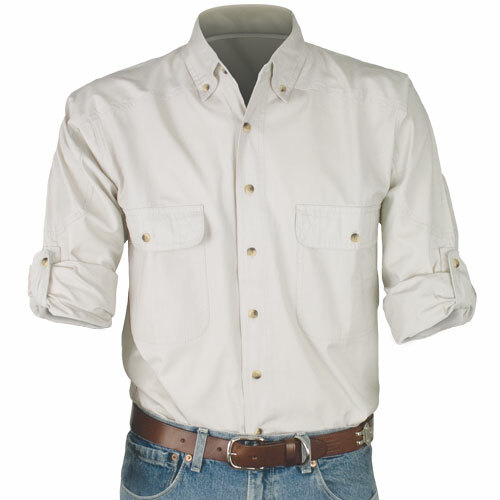 The roll-up sleeve tab explorer shirts are a hot item in apparel. Perfect for your next outdoor adventure. • 100% sanded cotton canvas 6.25 oz. Use at your next outdoor corporate event. Great for a "roll up the shirt sleeves" team building retreat.